Nikki and Laurent met the good old fashioned way by swiping right. But after a classic DC first date (her coming from the Hill and him running late) it was clear the meeting was anything but just another Hinge date. 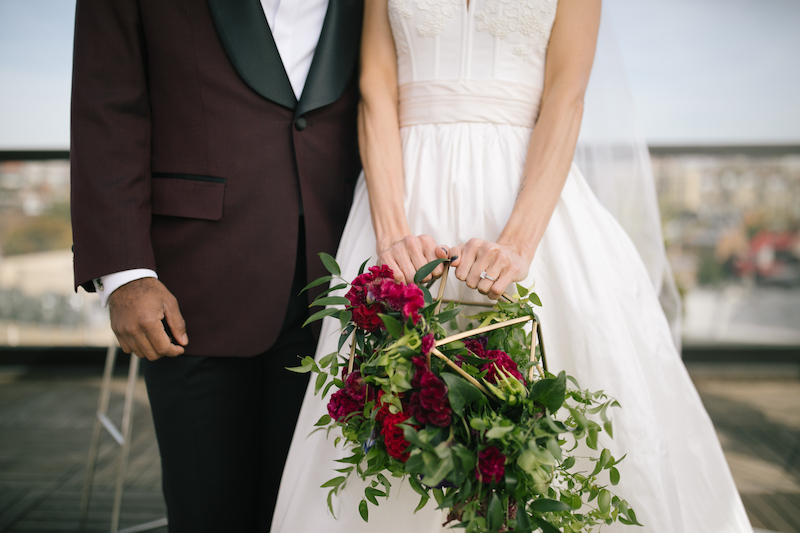 Their first date took place in the middle of the holidays, preventing a sooner second date. 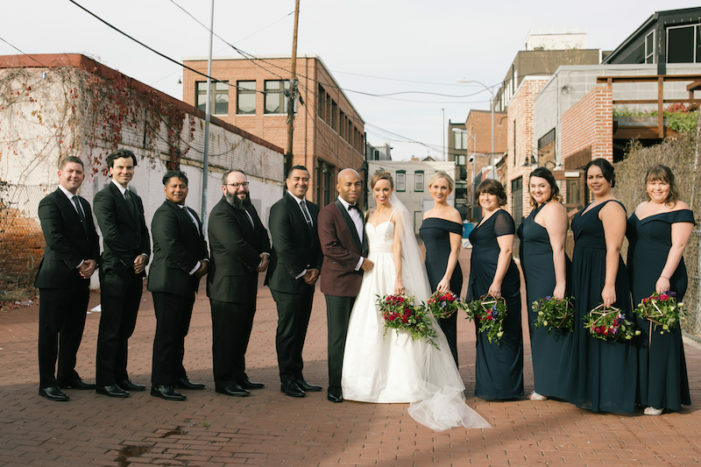 However, they didn’t miss a beat, texting every day. The rest is history. 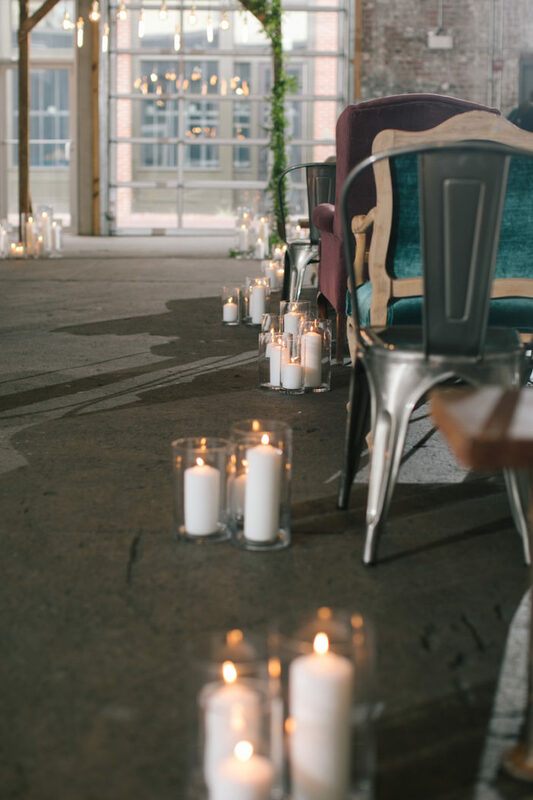 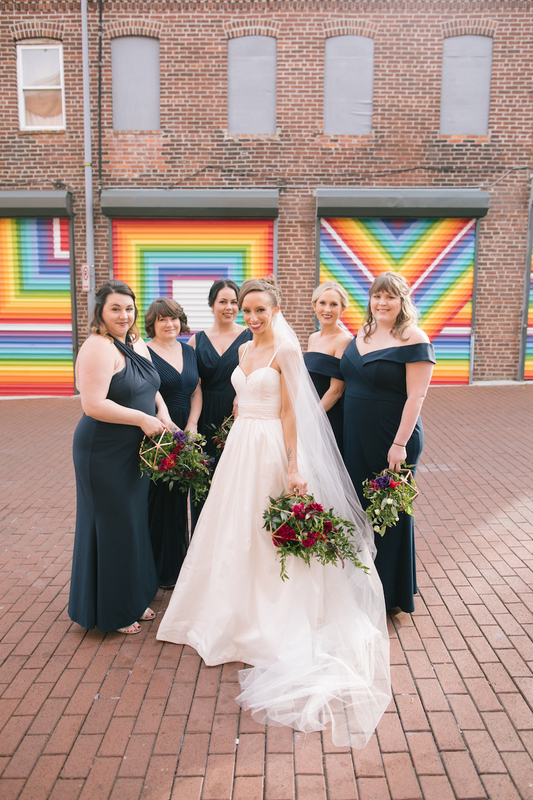 We’re thankful for that swipe because it led to this beautiful industrial chic Long View Gallery wedding! 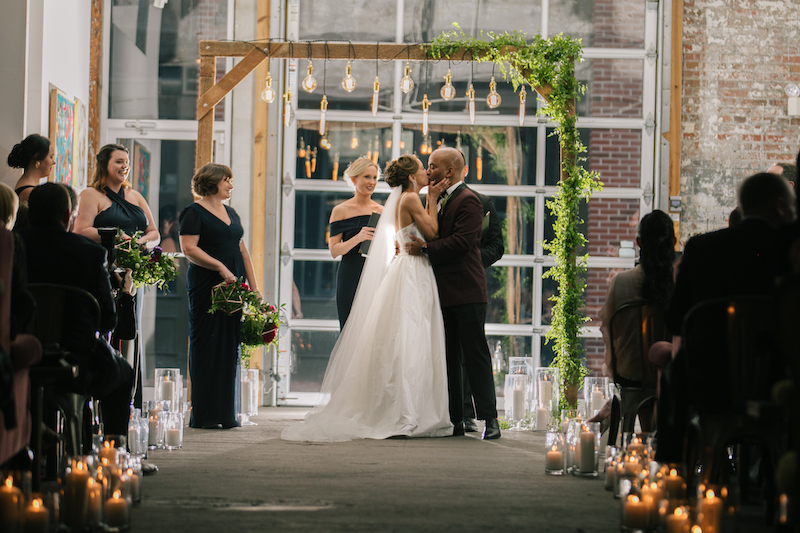 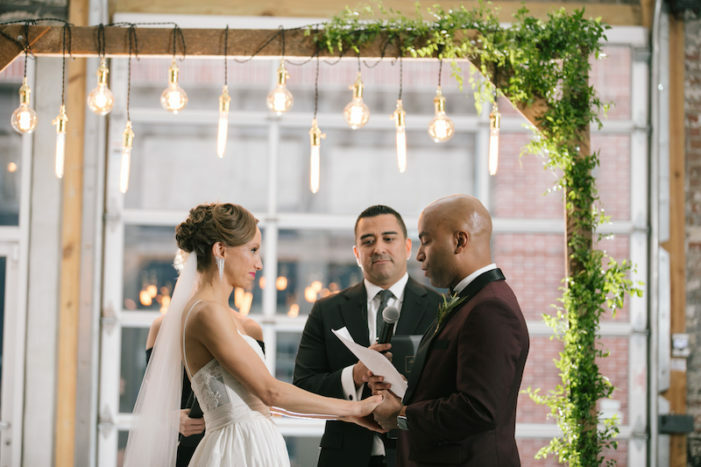 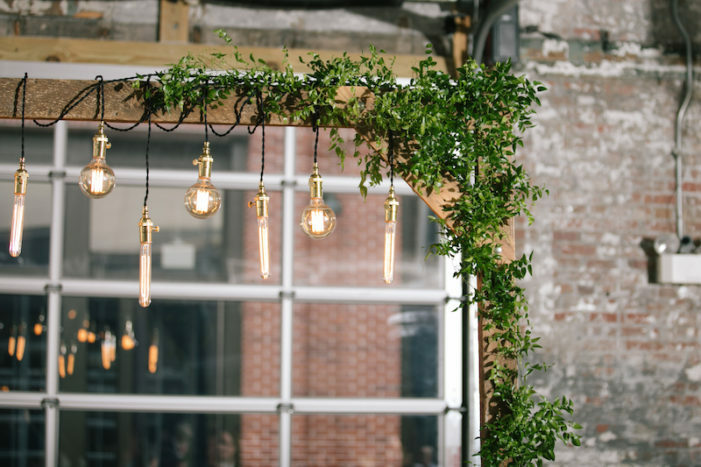 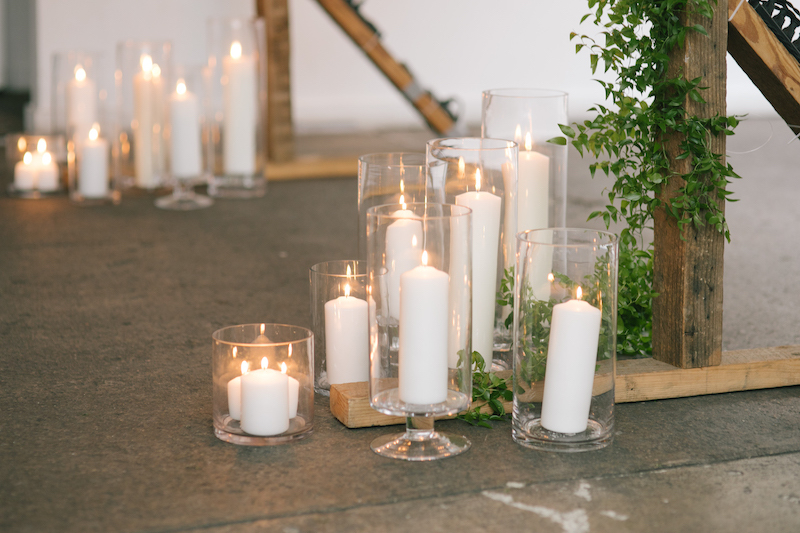 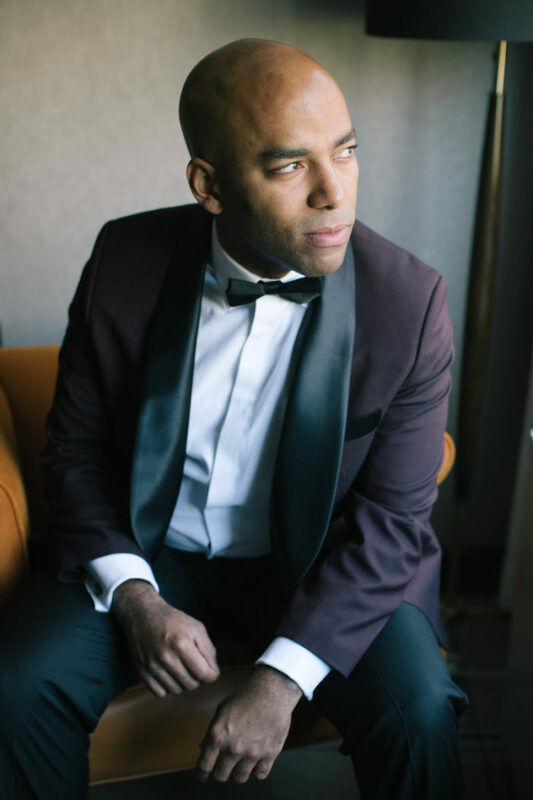 On their wedding day Nikki and Laurent wanted to celebrate their love with an industrial chic celebration. 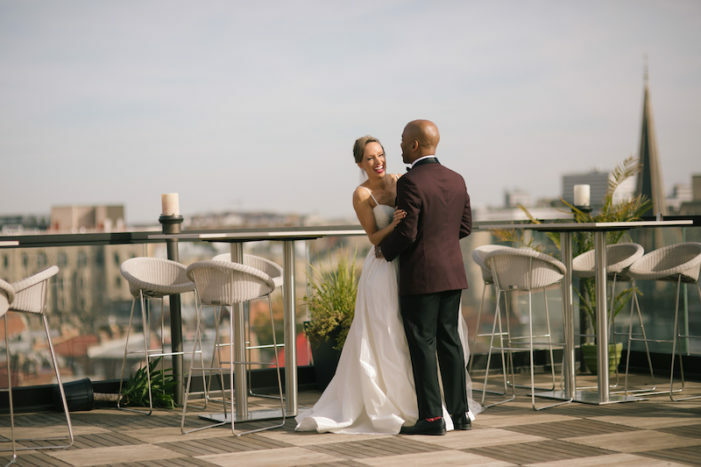 These two are some of the coolest people you will ever meet and their wedding perfectly reflected their personalities. 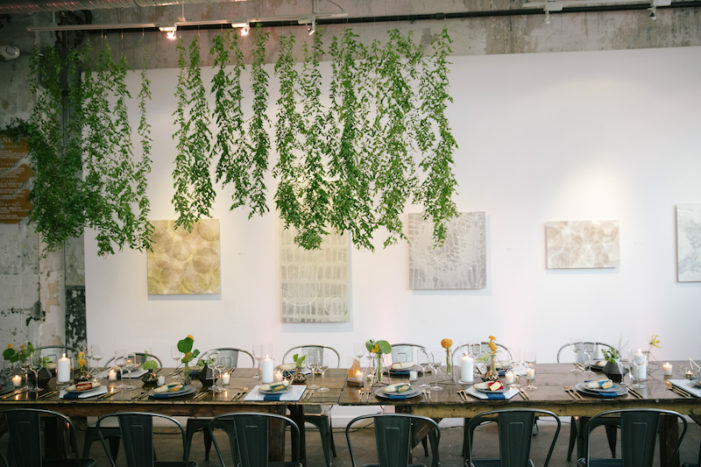 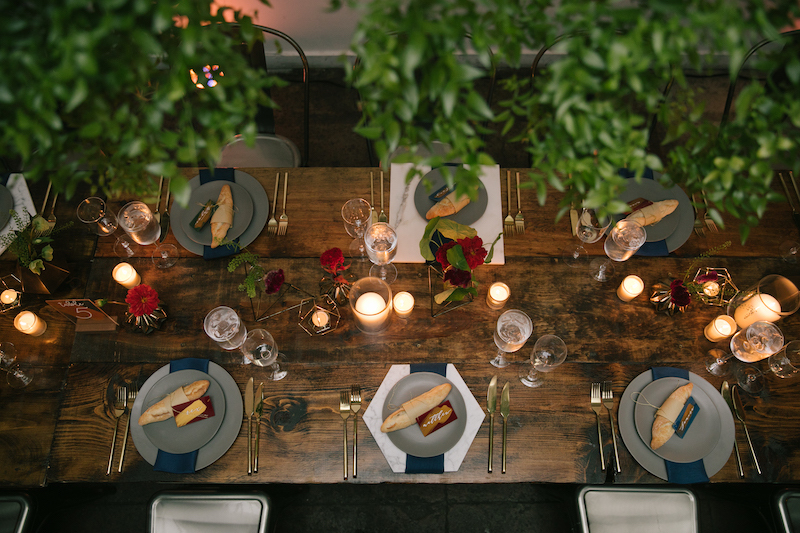 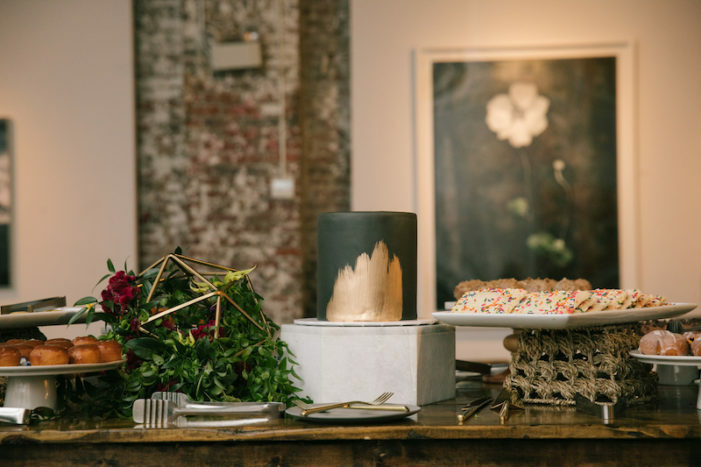 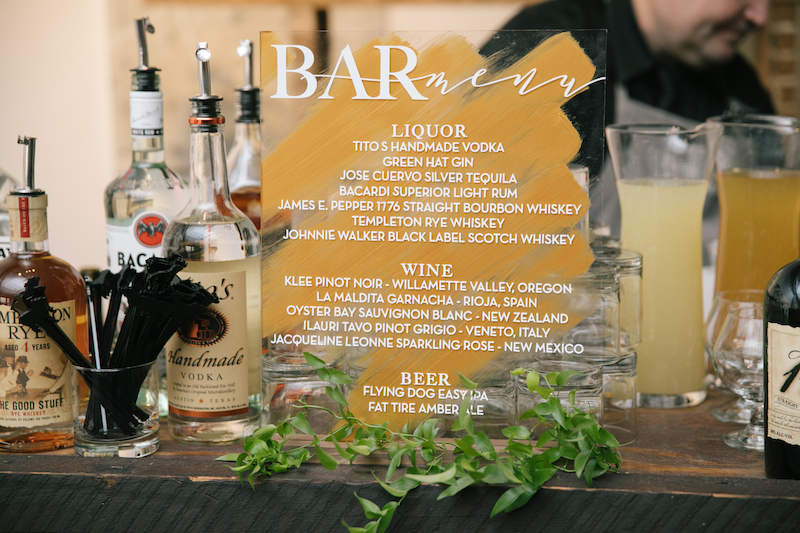 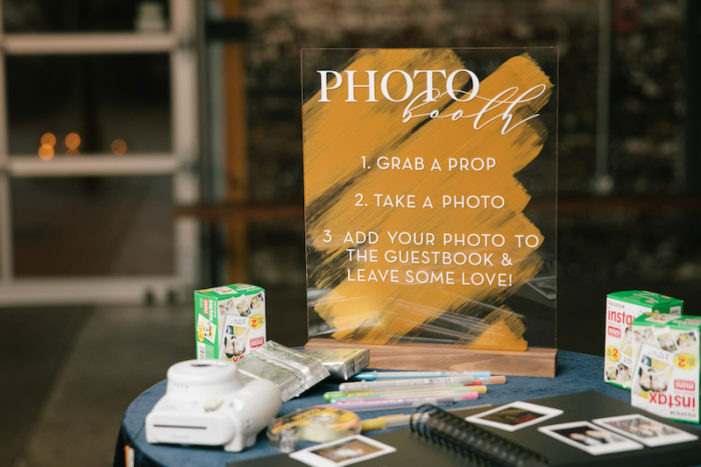 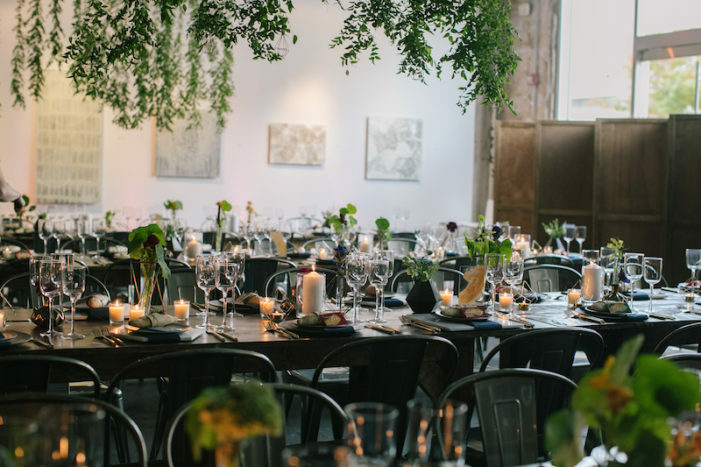 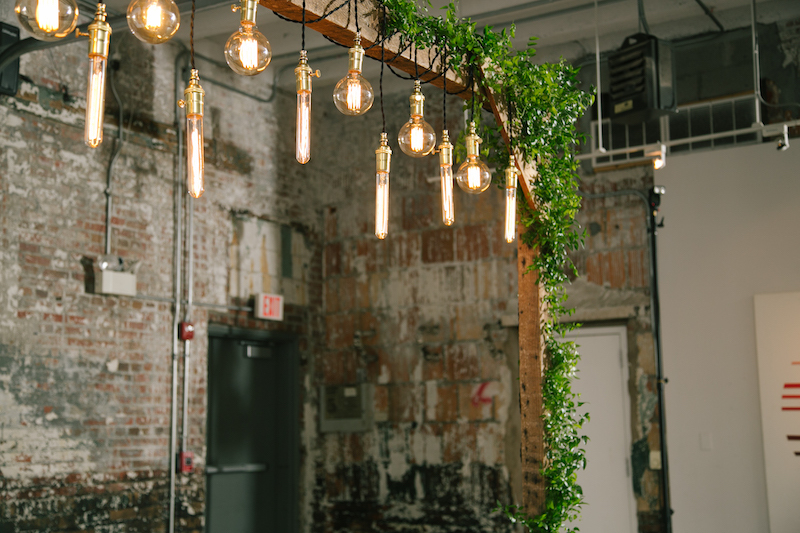 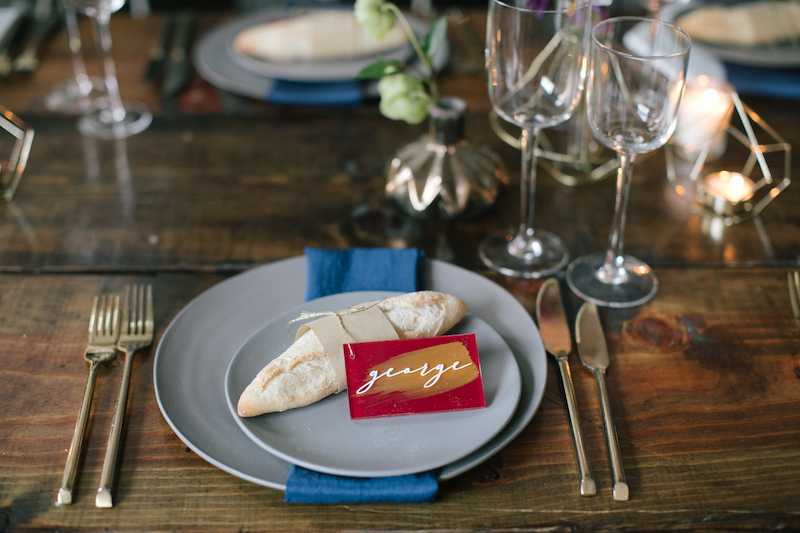 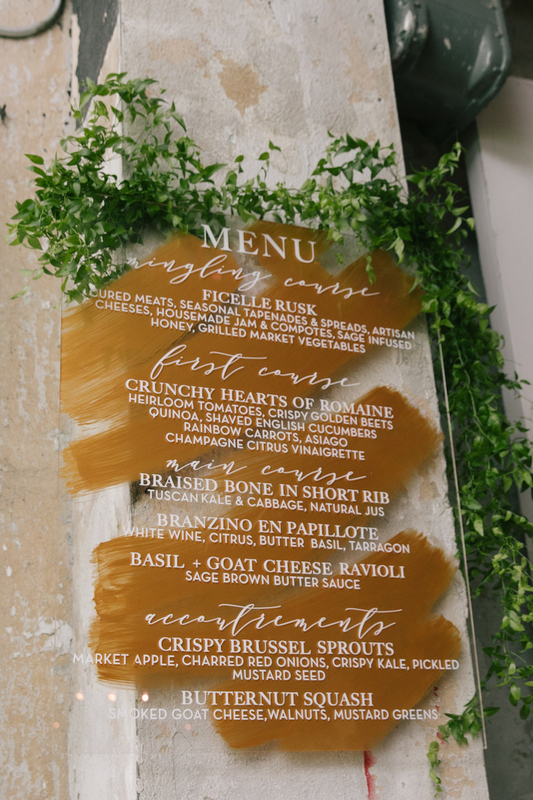 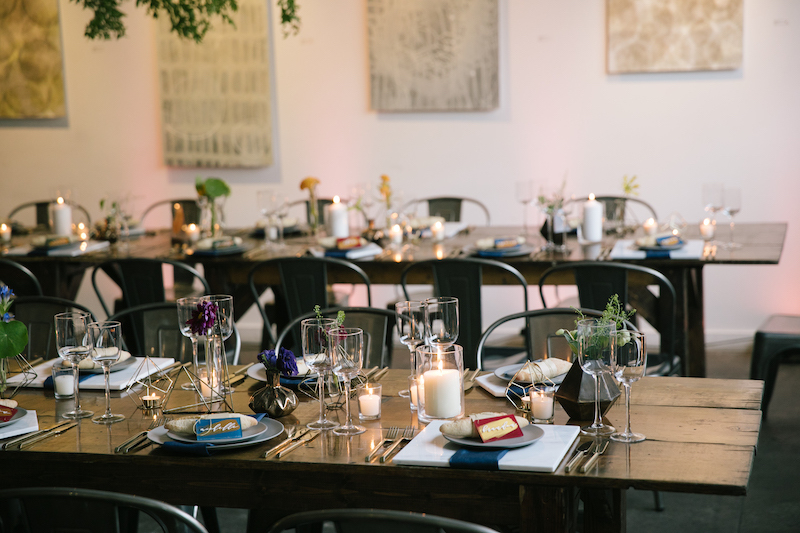 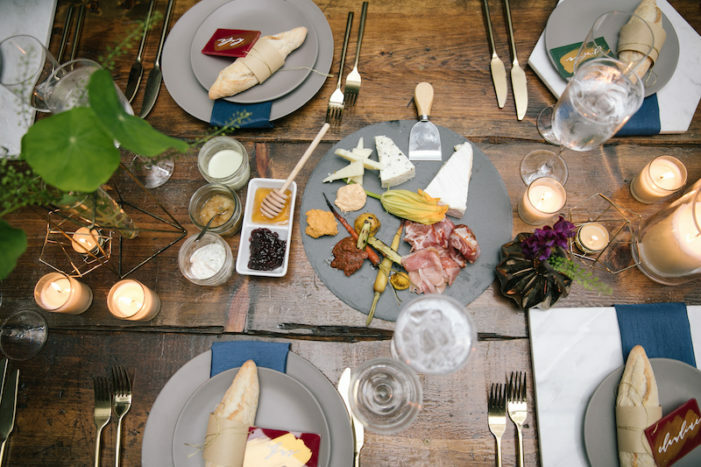 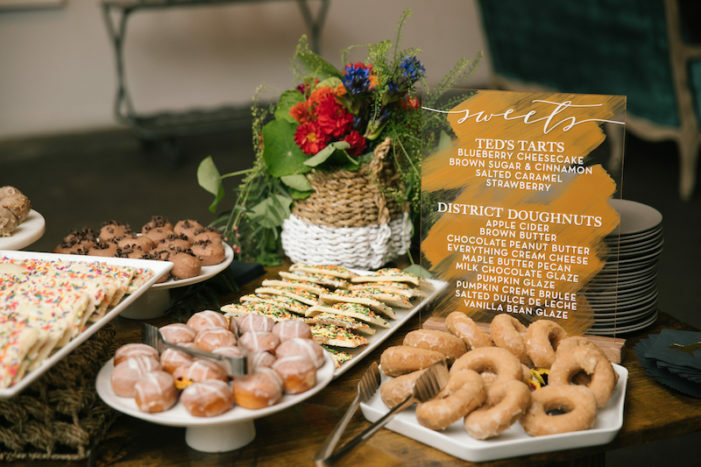 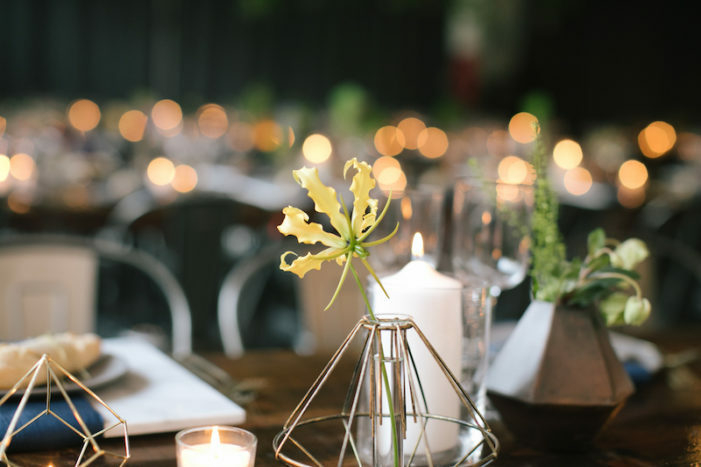 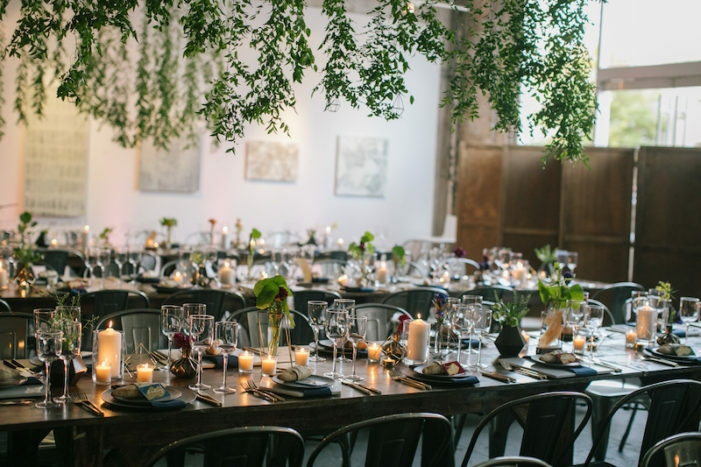 The incredible wedding details range from mixed vintage furniture and an Edison bulbs installation to painted acrylic signage, geometric “bouquets” and family style cheese plates preset on the dinner tables. 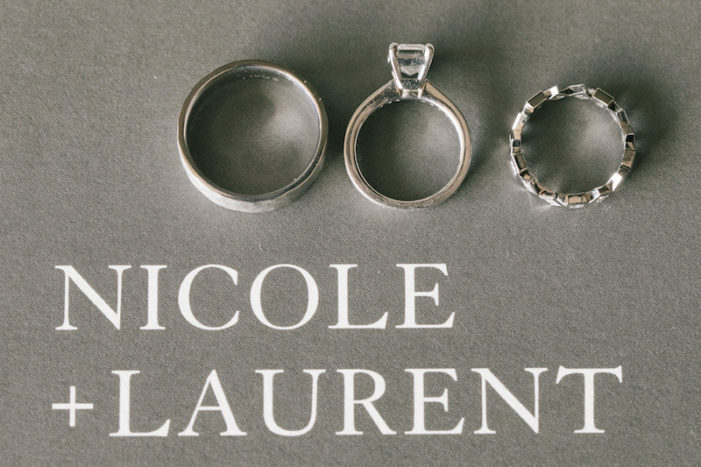 The only member of Nikki and Laurent’s family that was not able to be present on the big day was their beloved pup, Frasier. 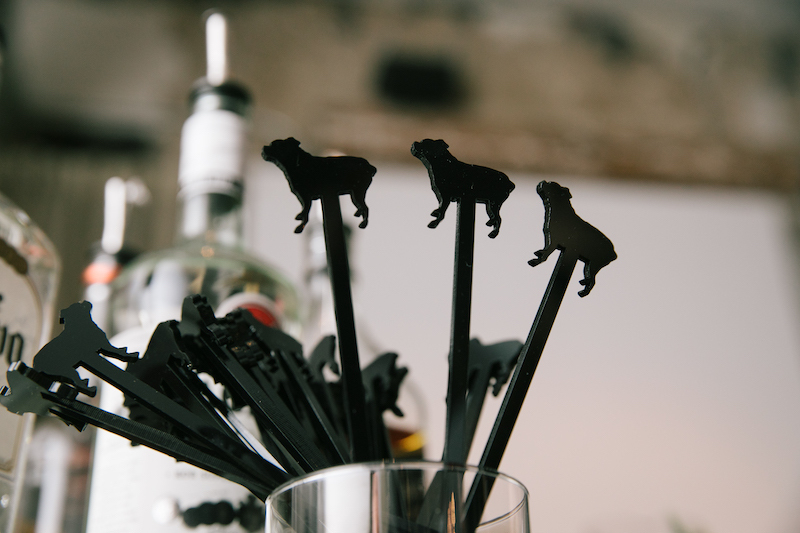 Frasier was not far from mind however and made an appearance on cocktail napkins and stir sticks. 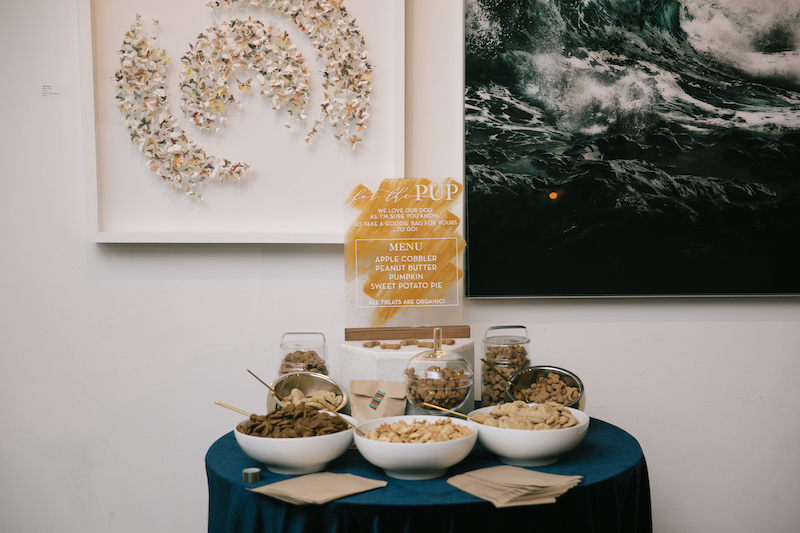 They also had super unique favors for their guests with furry friends; a dog treat favor station made for a fun guest take home surprise. 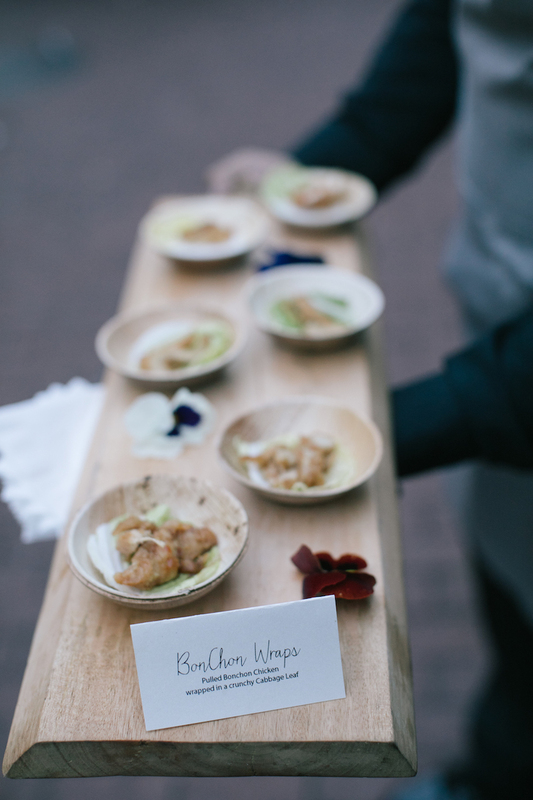 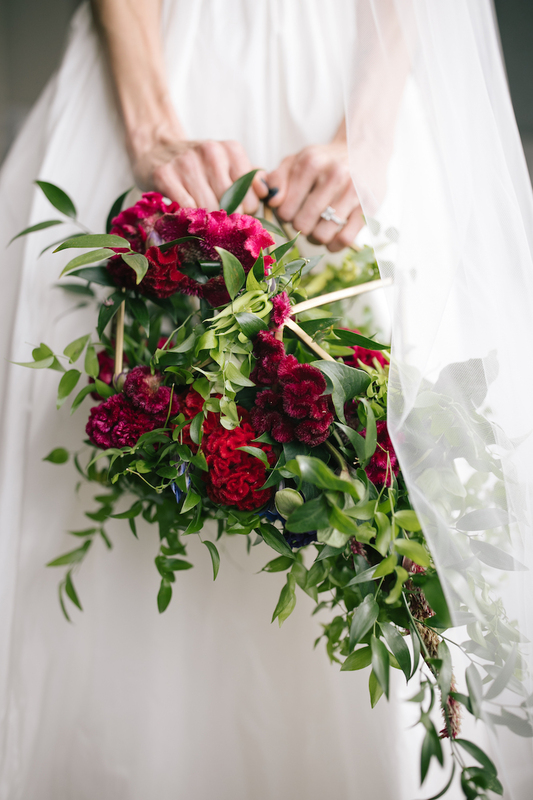 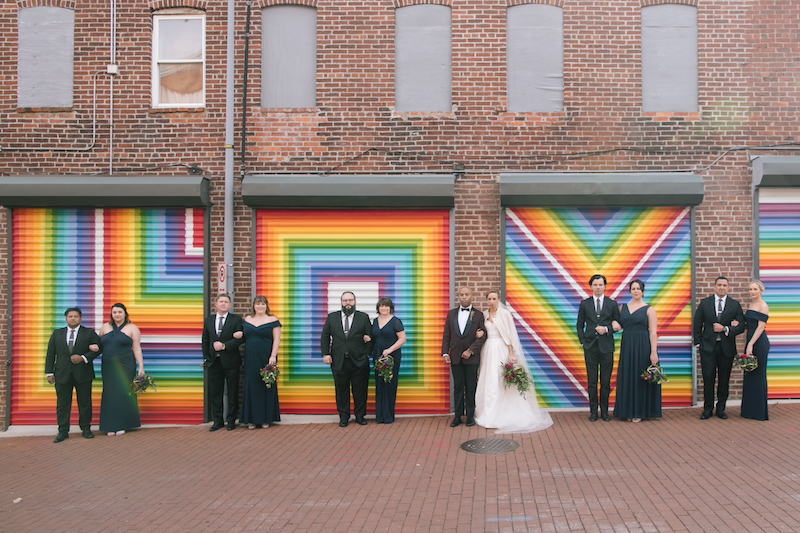 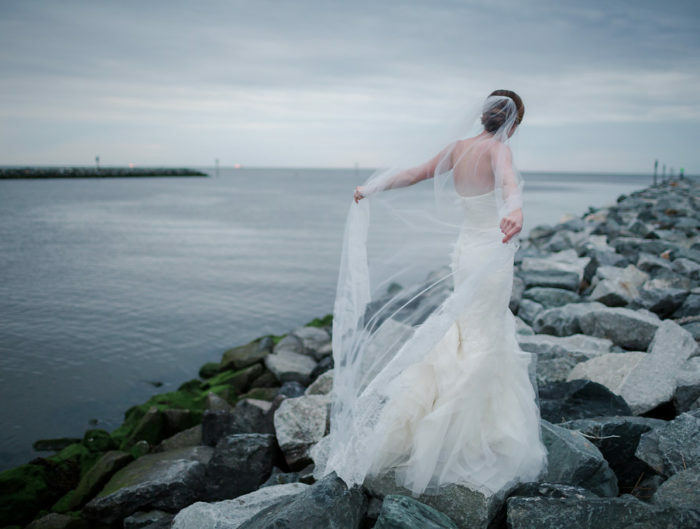 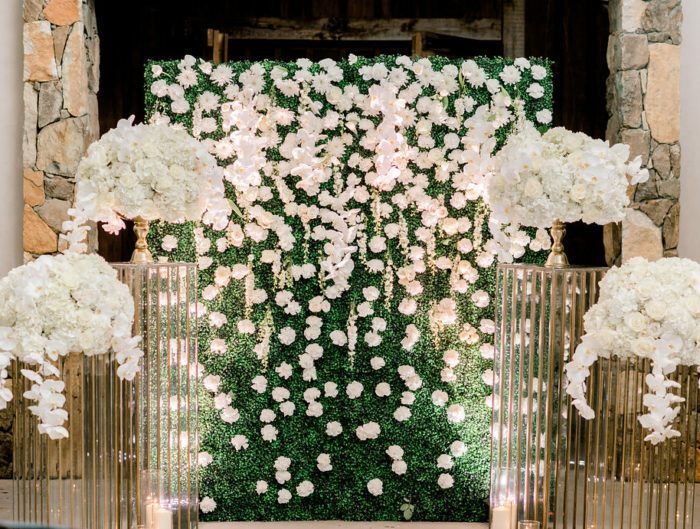 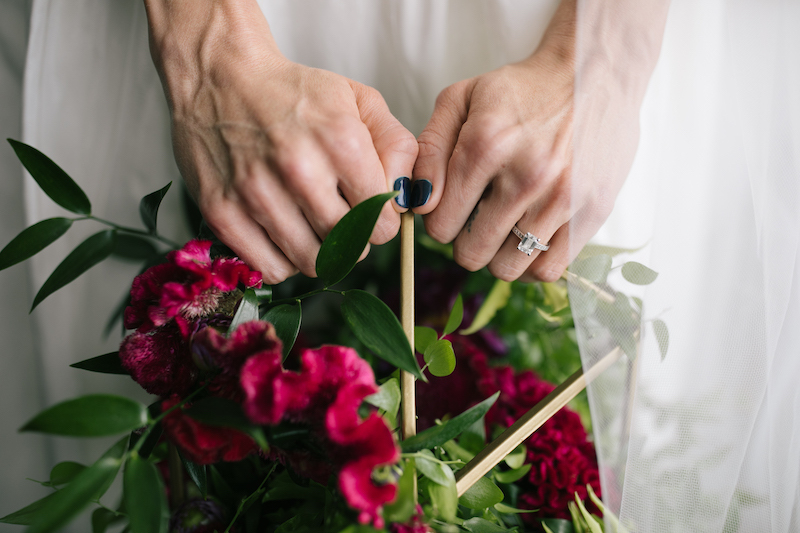 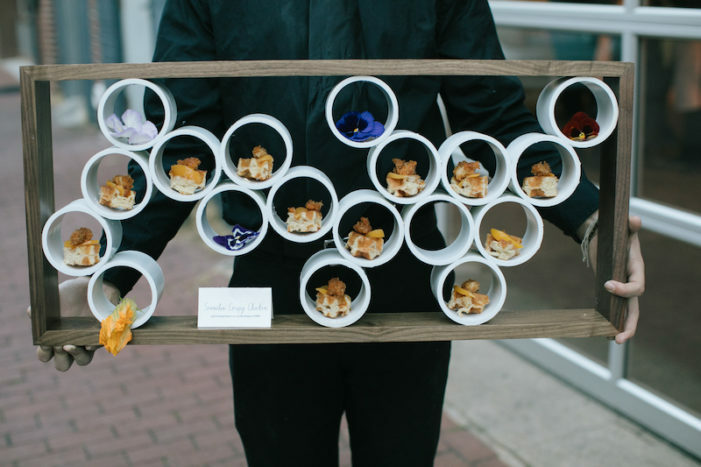 Thank you to Sweet Clementine Events for sharing this art gallery wedding with us today!